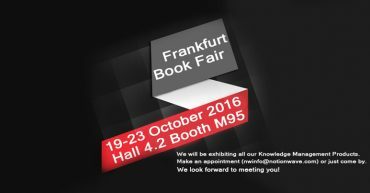 19-23 October 2016 Hall 4.2 Booth M95 We will be exhibiting all our Knowledge Management Products. Make an appointment (nwinfo@notionwave.com) or just come by. We look forward to meeting you!